Another year of Guild Wars 2 has shot by and there are yet more huge changes to almost every area of the game. On top of all of those changes, as I am sure if you're reading this you are very aware that at PAX South just last week the first expansion pack for Guild Wars 2 was finally announced; Heart of Thorns. I've always wanted to continue this blog, and have never said that it has come to an end! 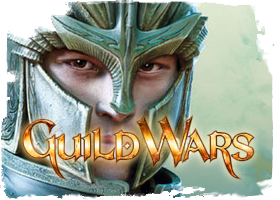 Of course, it could so easily have been assumed to have ended - but I'm sure you will agree that there is no better time to restart (for the second time) a lore based blog surrounding Guild Wars when there is an expansion on the horizon full of juicy lore to cover! Now, I will not promise as I have done the previous time that this will go smoothly, but much has changed and I can only hope that it will not follow the same fate as the previous re-launch attempt. During the fight against the Molten Alliance the Consortium had generously given shelter to many refugees offering a new home on Southsun Cove. As all of the combat died down, more and more people seeked a new life and took the Consortium's offer. The Consortium wanted the island to be profitable and so were transforming it into a resort, many tourists were excited and even nobles arrived on the island on holiday. The settlers on the island felt more like prisoners than guests and it was later discovered that they were bound onto the island, never to leave; the contracts they had signed meant they legally could not leave. The Consortium were again doing unethical business involving the people of Tyria. Many refugees simply accepted this contract since they had nowhere else to live and at this point they felt safe and enjoyed the life on Southsun cove. The settlers, of course felt aggravated by the trickery of their host and tension between the settlers and the Consortium began to rise. "The sky falls and the ground shakes in the lands of the north. Charr and norn refugees crawl from the wreckage of their homes in the Wayfarer Foothills and Diessa Plateau, struggling to find shelter in the south. The call goes out for volunteers to assist the victims in this time of need, when earth and sky seem to have become the enemy…"
Lion's Arch awakened after the events and exciting activities caused by the yearly appearance of the Mad King. At first glance the city was operating as usual; merchants selling goods, people visiting friends, and children playing beside the grand Lion statue. But something was different, a collection of new ships had entered the harbour bearing a symbol currently unknown to the people of Lion's Arch. It looked much like an Asura-created robot. What were these new ships doing in the harbour? After some investigation their purpose became clear, they were advertising a new resort island based just south of the Sea of Sorrows and people appeared to be interested in what this new organisation had to offer. The organisation went by the name of The Consortium and the island they were advertising was known as Southsun Cove (a previously unknown isle). As the day continued there were some other strange occurrences; whales were found beached along the shoreline, were they trying to escape something in the waters? We are on the brink of the release of the first episode of season 2 and after looking everywhere on the internet for a decent, well-written summary of the season 1's events I was left with a hard to read and follow passage of text on the wiki page. I felt that I had again left this blog alone for too long. It was all due to motivations, university and general time management along with how much I was playing Guild Wars 2 over the past months. I can now however ensure regular updates on here for the future, and of course, I have a backlog of posts to write. This will all be thoroughly enjoyed. So, I will announce now that I plan to (as well as my rather large list of updates) be writing a comprehensive guide to season 1 and the stories that were told including characters and how they were involved in each of the episodes. I aim to also get some posts up regarding the story elements of season 2 as well as many more ideas I have stirring around, keep your eyes on this space; there is more to come! Although this is a living story post based on the lore of Tyria; the featured update - Wintersday - was a festive Christmas release lacking in lore. This simple fact has led to the decision to keep this post brief in order to move onto the next one, encompassing three months worth of juicy lore. Wintersday, Tyria's multi-week yearly celebration is effectively Tyria's Christmas. All races from all over Tyria celebrate wintersday with differences from eachother, however all the children, regardless of race share a common love for toys! This wintersday was celebrated through "The Wondrous Workshop of Toymaker Tixx", an asuran toy maker has created a giant airship/workshop and is making stops above the major cities of Tyria. Toymaker Tixx visited each city bringing deliveries of toys and holiday cheer. The Lost Shores was the first content release for Guild Wars 2 that created a story not linked to a festival or event such as halloween. The update introduced a new zone for us to explore and brought a group of unique and exciting world one-time events. It kicked off the idea of the living story and brought forward a group of technical issues with the game. 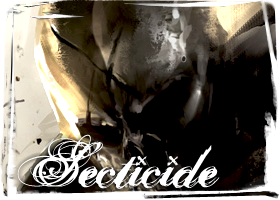 This blog is based around the story and lore for the game, and so these living story posts while aiding readers in understanding of how the events panned out we need to ensure a lore focus. A previous unseen region within the Sea of Sorrows (formally the Bay of Sirens) surfaced, exactly when and how; we can only speculate. I like to believe that the island has been there since the emergence of Orr. As planned, this is the start of the living story coverage. The events of Guild Wars 2 began with the Shadow of the Mad King; the halloween update for Guild wars 2. This has been an on-going story throughout the Guild Wars franchise. Mad King Oswald Thorn is the former king of Kryta and is known for his jokes and insanity. He is stuck in his realm but is able to build enough power to break into Tyria for one day every year. When he breaks into Tyria he brings games and activities with him, even though his intentions are negative. This update was released on October 22nd and came in several acts. As well as the activities brought by the Mad King; many updates to the game were added such as updates to the gem store contents; pvp tournaments and a whole group of world content and achievements. 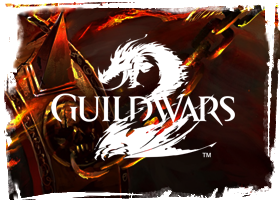 The second part of the year of Guild Wars 2 continues, starting right where we left off after the Super Adventure Box update. We were taken back to Southsun Cove, in the secret of southsun update; refugees were over-filling the cities. A body of traders by the name of the Consortium gave shelter to those refugees in need of a new home. The island is a beautiful, tropical place and at first it appeared to be a great idea but it wasn't long before the traders began to treat the refugees like prisoners. The wildlife on the island had also began to become more and more aggressive, it was up to the player and inspector Kiel to get to the bottom of the problems and discover the secret of southsun cove. There has been a rather long break with this blog, I thought that starting with a summary of how the game has grown and evolved since release seems apt. Firstly, we had the Karka attacks on Lion's Arch, this gave us Ascended gear, Southsun Cove and a group of story based events which brought us to the defeat of the ancient Karka. This was the first major event within the game, it showed a few problems with the initial design in terms of the culling and overflow server population. The event wasn't the best experience since there were several issues with client side performance and even when there wasn't so many issues; the culling removed a great deal of players from view. ArenaNet have been working and, for the most part have solved the issues which surfaced with the lost shores update (the Karka event). This is an unofficial Guild Wars Lore website and so is not affiliated with NCSoft or ArenaNet. I do not claim to own anything posted on this blog unless stated otherwise, it is all meant for entertainment purposes only. © 2012 ArenaNet, Inc. All rights reserved. NCsoft, the interlocking NC logo, ArenaNet, Guild Wars, Guild Wars Factions, Guild Wars Nightfall, Guild Wars: Eye of the North, Guild Wars 2, and all associated logos and designs are trademarks or registered trademarks of NCsoft Corporation. All other trademarks are the property of their respective owners.